Gilbert, better known as Mike, is the founder, President and CEO of Greenbriar Homes Communities, Inc., a private, high-quality single family home developer and builder in Northern California. Mike, a graduate of UC Berkeley’s MBA program and a CPA, started his career as a vice president of Boise Cascade Credit Corporation, repossessing homes and other improved real estate, refurbishing the units and reselling them. On the side, Mike was also buying old homes for his own account, repositioning and refinancing them and renting them as long-term investments. In 1976, Mike began building homes and apartments on his own. He started Greenbriar Homes recognized in the industry as one of the premier builders of quality homes in Northern California. He also founded Greenbriar Development Company, a developer, builder, manager and owner of apartment communities in the same area. In 1994, Mike took the apartment company public as Bay Apartment Communities, a real estate investment trust. In 1998, Mike merged Bay Apartment Communities with a similarly sized east coast apartment REIT called Avalon Communities. The new company, AvalonBay Communities, has become one of the nation’s leading REITs. Mike has been continuously involved with AvalonBay Communities, serving at various times since its inception as its President, CEO, Executive Chairman, Director and stockholder. For almost 25 years, Mike has been an active member of the Home Builders Association of Northern California. In 1990, he served as the Southern Division President and is currently a member of the Chairman’s Council. 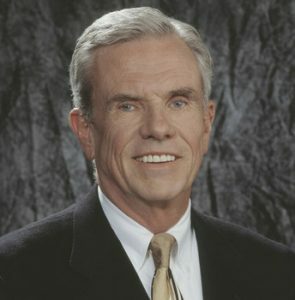 Mike is also a member of the Haas School of Business Advisory Board, University of California at Berkeley, a member of the Policy Advisory Board of the Fisher Center for Real Estate and Urban Economics, University of California at Berkeley and a member of the boards of philanthropic non-profit organizations. Mike and Greenbriar Homes Communities actively support numerous charitable organizations. Mike and his wife provide the St. Joseph’s Men’s and Woman’s Worker Houses in San Jose, California. Greenbriar Homes’ managed the construction of the Children’s Shelter, supervised and operated by Santa Clara County, and provided a multitude of building materials to erect and open the facility. Mike and his wife live on the Peninsula. They have two adult children, both involved in their own way in the building business. Mike enjoys exercising and playing golf in his spare time.